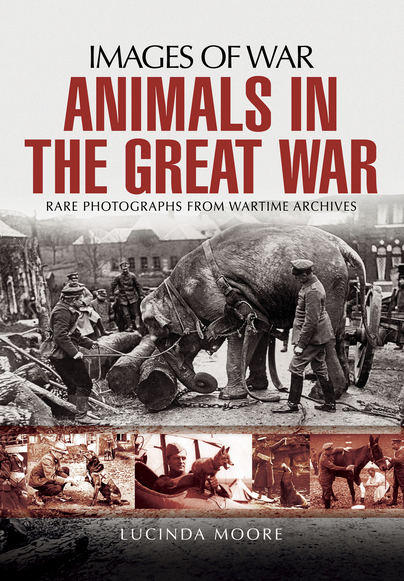 Pen and Sword: Animals in the Great War throws a spot light on the experience of creatures great and small during the First World War, vividly telling their stories through the incredible archival images of the Mary Evans Picture Library. The enduring public interest in Michael Morpurgos tale of the war horse reveals an enthusiasm for the animal perspective on war, but what of the untold stories of the war dog, the trench rat or even the ships pig? Through unrivalled access to rarely seen illustrated wartime magazines, books and postcards, discover the sea lions who were trained to detect submarines, and witness the carcass of the 61ft mine-destroying wonder whale. Meet the dog that brought a sailor back from the brink of death, and inspired a Hollywood legend. See how depictions of animals were powerfully manipulated by the propaganda machine on both sides, and how the presence of animals could bring much-needed and even lifesaving companionship and cheer amid the carnage of war.